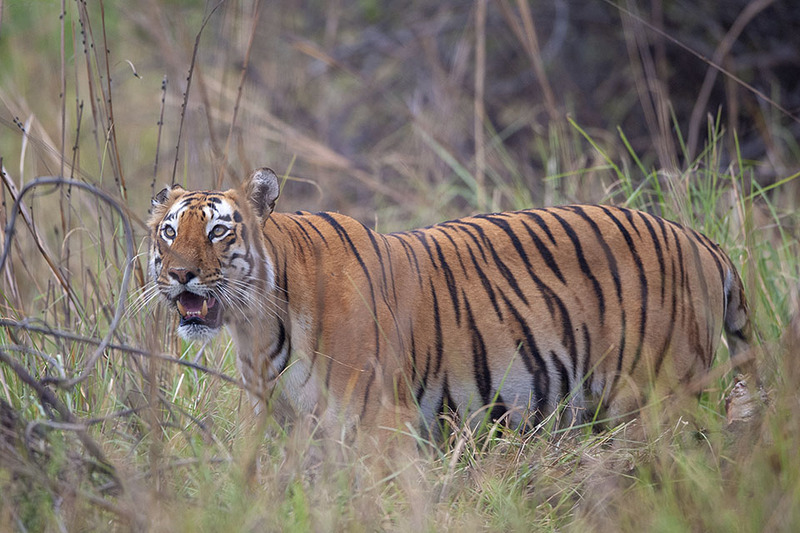 During one of our safari’s at Tadoba, just as we entered the park, the driver and guide pointed out that a Tigress had killed a Gaur on the banks of the lake inside the forest. 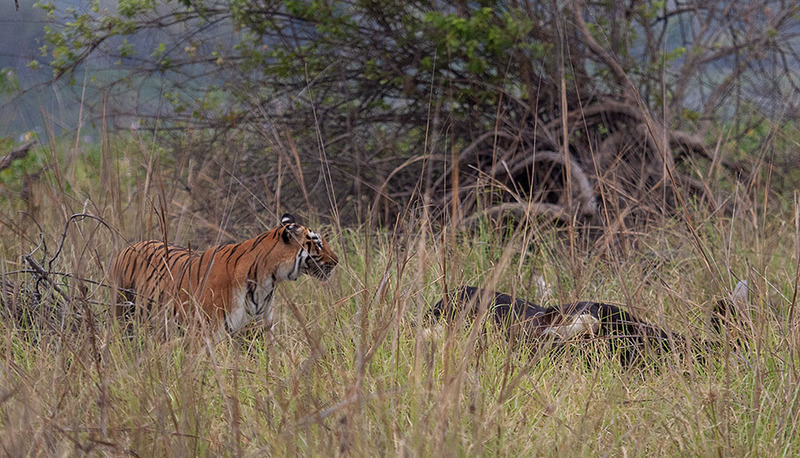 We dashed to that location and were greeted by the Tigress standing alongside the Gaur carcass. 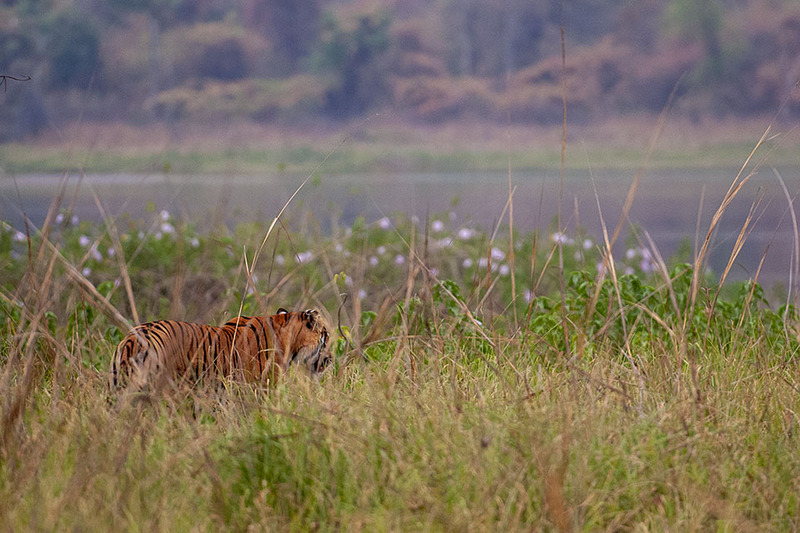 After taking a couple of bites of the Gaur, she headed to the lake to quench her thirst. As she left the carcass, the crows swamped it and when she returned, they flew away to nearby perches. 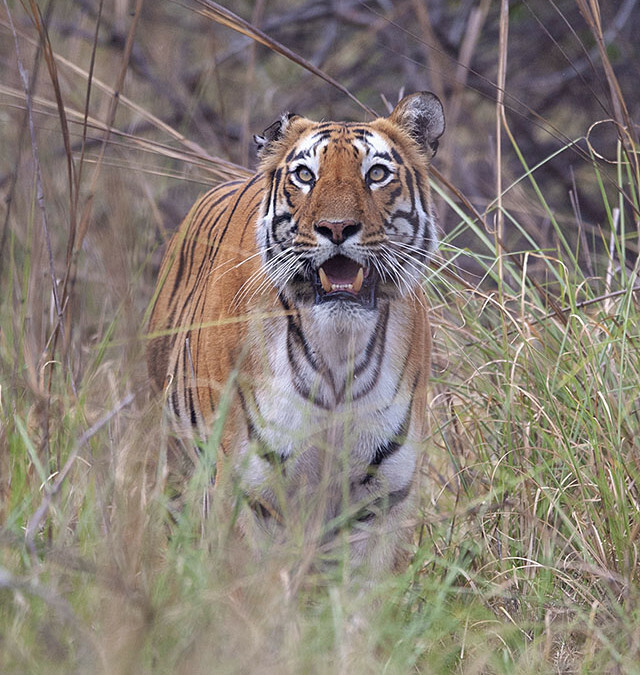 The Tigress wasn’t happy with the crows at the kill and glared at them making a lovely composition; the feature image of this post. On her return she lazily pulled the carcass, but wasn’t keen on eating. It looked like she had been feasting on the carcass all night. She once again went to the lake but returned quickly, only to be irritated by the crows who were back to the carcass. This time she shooed them away for good. You can see her not so happy expression (in the picture below). 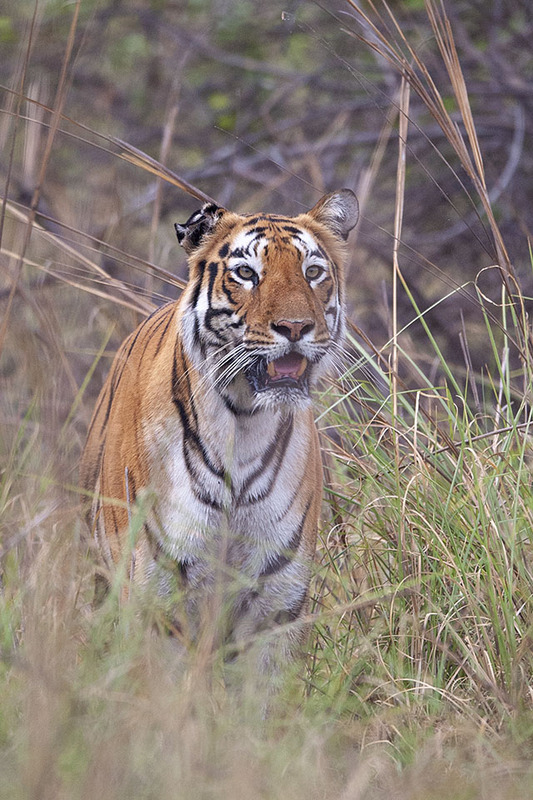 She then came back to the carcass and stood guard. 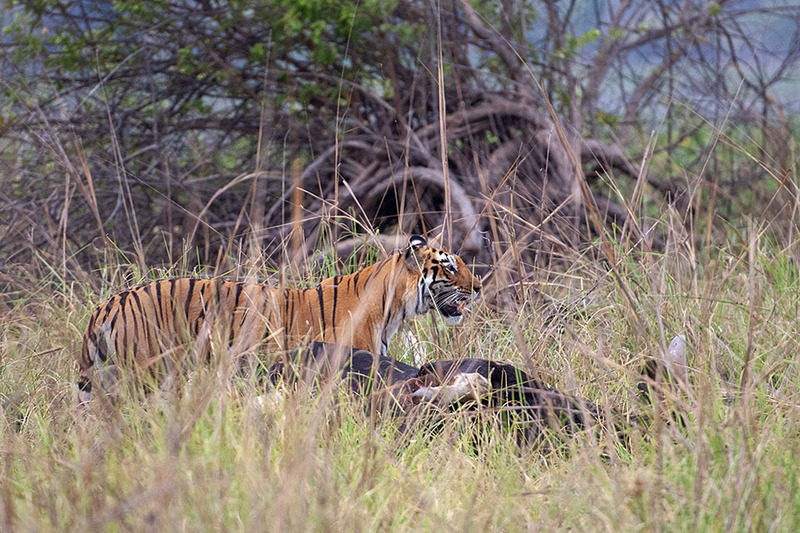 It was now clear that she was guarding the carcass for her sub-adult cubs, who could come anytime. 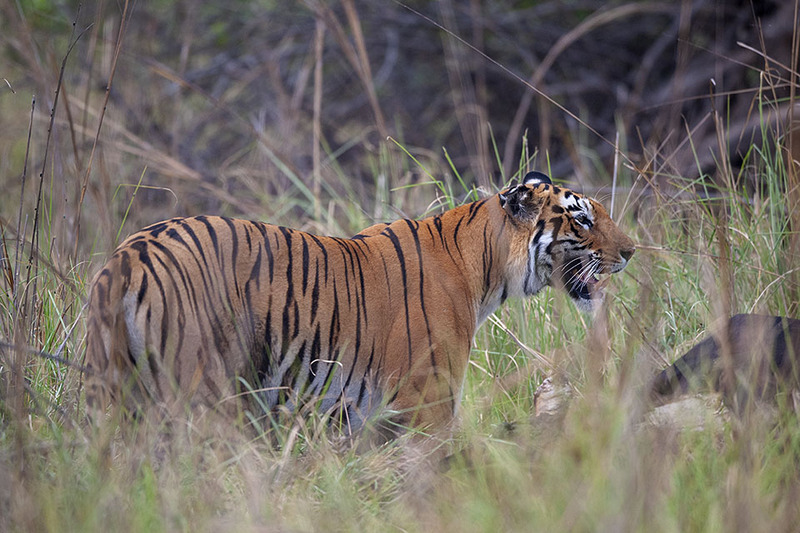 The mouth watering thought of photographing sub-adult cubs at the kill was motivation enough for us to bear the late morning sun, that was already beating down on us.